Raymarine Pro Ambassador, Alan Watson goes deep into explaining this essential distress and safety system, to help you see and be seen on the open waters. 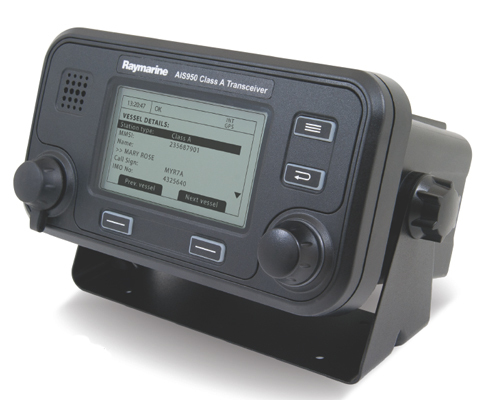 He explains how Raymarine has taken this AIS system one step further by having the only software on the market creating “predicted areas of danger” – all aimed at making your time on the water more enjoyable. Vessels not required to fit by regulation may also fit AIS. Most fishing vessels don’t transmit AIS and most naval vessels, though they have the capability, don’t either. Masters of vessels can switch off their transmissions to protect the security of the vessel and do so in areas where piracy is rife. The system has expanded to include AIS transmitters on major navigational marks which are known as Aids to Navigation or “Atons”. This has further developed into the concept of “virtual Atons” which are discussed below. Based in Portsmouth, UK, Alan Watson is a recognized navigational expert who has clients ranging from the weekend cruiser to the professional sailor. 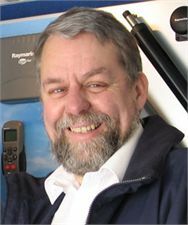 Alan has worked with Raymarine for many years and enjoys running our Navigational and Radar courses. For a shipboard fitting there are three types of AIS equipment, Class A, Class B and receive only. 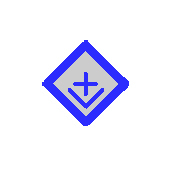 Class A is intended for vessels where the fit is mandatory and transmits more information, more frequently and at higher power than Class B. Most of the information in the AIS transmission is derived from other instruments on the vessel e.g. course over the ground (COG) and speed over the ground (SOG) from GPS but there is some information that requires manual entry such as vessel status which can be “underway”, “at anchor”, “alongside” etc. Similarly next port of call and numbers of passengers. Class B is intended for voluntary fit vessels. It is largely “fit and forget” and does not require manual updating. Vessel details are entered when it is installed and it then transmits vessel name, callsign (MMSI), position, COG and SOG. Both Class A and B receive data from other vessels and this is used to place icons on the screen of the plotter. These in turn can be interrogated to show all the vessel data. The third option for a small vessel is to just receive AIS transmissions from other vessels and display them. Early equipment for small craft was receive only and then Class B came into the market and is now favoured. Having receive only means you will be able to see what other vessels are doing but they can’t see you. Large vessels are becoming used to seeing small craft on AIS and craft transmitting AIS are likely to get more attention than those who are not. There are a number of websites and applications on the internet that allow you to look at AIS, for instance Marine Traffic (www.marinetraffic.com). These work by taking the data from a number of receiving points around the coast and aggregating it to give an overall picture. The coverage continues to improve but there are gaps. If you are tracking a vessel that goes out of coverage and then comes back in, the application will draw a straight line between the two. On one occasion, going round North Foreland, the internet showed me going up the M2 and caused some consternation ashore. There are also some applications that will “transmit” AIS from a tablet or smartphone (www.marinetraffic.com/en/p/mais). It is important to note that they are not transmitting on VHF but are sending data direct to the internet over the phone data system. That means that this information will not show up on a normal VHF AIS receiver. AIS is transmitted on two reserved channels in the marine VHF allocation (87B and 88B). Just like your normal VHF, the range is dependent on antenna height although the AIS signal is more rugged than speech which slightly increases the range. Typically on a small craft you will pick up big ships up to about 20 miles away. To accommodate lots of vessels transmitting on just two channels a system known as TDMA (Time Division Multiple Access)3 is used. This means that a time period is divided into a number of time slots. When a Class A or B switches on, it looks for a vacant time slot and reserves it. Other sets in range will avoid this slot and select another one. Precise timing is needed to ensure that all vessels are synchronised and this is derived from GPS; hence why Class A/B equipment has its own GPS receiver. Recently it has become possible to receive AIS information globally by satellite. This is available from several providers, normally by subscription and is used by fleet operators. From a technical standpoint it was not straight forward as the satellite can receive over a large area and within that footprint there might be several different ships using the same timeslot (they could not receive each other so would think the slot vacant). There is a process of “de-confliction” to make sure all vessels are identified and give a complete picture. As well as shipborne systems, major navigational marks are now increasingly transmitting AIS Aids to Navigation (Atons). At an Aton there will be an AIS transmitter and aerial and the AIS signal comes from this location. 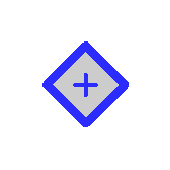 However this need not be the case, the symbol will show up on the chartplotter at a position determined by the latitude and longitude fed into the AIS transmitter. Normally this is the same as where you are but it is possible for the transmitter to be, say, on the harbour masters office and transmitting the location of the clear water buoy at the harbour entrance. 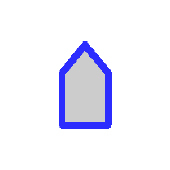 This is called a virtual Aton and the Aton symbol will show on the chartplotter in the correct place but there will be nothing physically there. The attraction to the authorities in terms of cost and ease of altering buoyage is obvious but there is something very comforting in seeing the buoy where it should be as you approach a port. Adding AIS to a modern system is simple and the unit just needs power, an antenna and a connection to the main system. 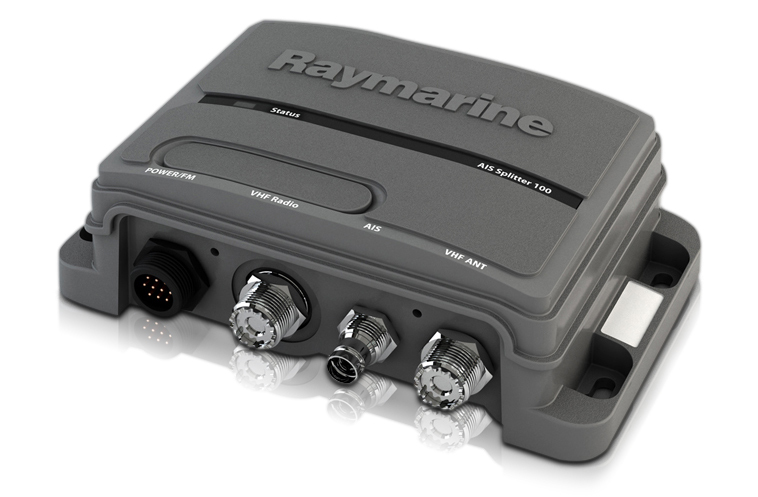 For current Raymarine systems this is via SeatalkNG or NMEA2000. 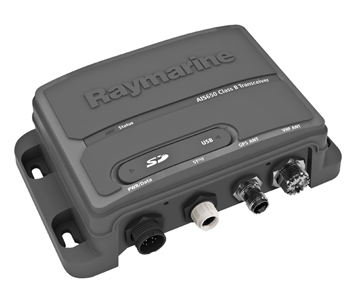 Older systems can be connected via NMEA-0183. This system is very limited in that it can only deal with one source of data (referred to as a “talker”) but can have multiple places for the data to go (“listeners”). The system usually runs at 4800 baud but for AIS needs to run at a higher 34800 speed. This means you need to dedicate an NMEA port on a chartplotter to AIS and set the speed at 34800 or, if it is already in use, use and NMEA multiplexer to combine the 4800 and 34800 traffic. The AIS unit can have its own antenna or, by using a splitter, can use the same antenna as the VHF. The loss in sensitivity to the VHF radio by adding a splitter is marginal and not a problem but some older VHF aerials may not be suitable for AIS as the frequencies used are on the edge of the marine band and some aerials do not work well at the band edges. If you are using an AIS that transmits (Class A/B), the splitter must be suitable for transmit use; this is particularly the case if you are upgrading from a receive-only to Class B. Ideally the aerial should be as high as possible to ensure you can receive AIS from other ships and be received at the maximum range. For Class A and B systems, a new installation requires the vessel details to be entered. This is done via a PC using a program called Pro AIS that comes with the unit. In the UK, it is acceptable for a boat owner to enter this detail; in the US it must be done by an authorised installer. 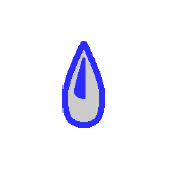 In Use on the Chartplotter. AIS information can be displayed on both the chart and radar screens. 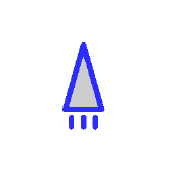 Vessels transmitting AIS will show up as a blue wedge shape with the point of the wedge showing the heading of the vessel (this is taken from heading not COG so beware double ended ferries like the Isle of Wight ones as they sometimes forget to switch heading and show as doing 12 knots astern). The latest LightHouse II software release differentiates between vessel types, see latest developments below. Screen shot showing dock head at Southampton with two large vessels alongside and a commercial vessel underway with the cursor over it. Each AIS icon can be interrogated and give information on the target vessel including name, position, size, COG and SOG, and Closest Point of Approach (CPA) and Time to CPA (TCPA). It is particularly valuable to know the other vessel’s identity if you wish to call on VHF. Full information on the vessel under the cursor in the previous picture; it is the Hythe ferry. 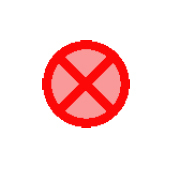 If an AIS target poses a threat to you, the icon will turn red and an alarm will sound (if alarm switched on). It is judging the threat against criteria set by you. It is checking whether the target will come within a set distance within a set time, for example within 0.5miles within the next 6 minutes. You can see how close it will come by looking at the CPA. AIS is one of the great leaps forward in marine electronics and safety at sea. Coming across the channel, it is a joy to be able to see the commercial traffic ahead of you and pick your way through the streams of ships entering and leaving separation schemes. It is very tempting though to concentrate on the AIS targets on the screen and forget there will be other vessels out there not transmitting AIS. There will always be a fishing boat or two doing something odd and the only way you will see those is visually or by radar. AIS allows calculation of Closest Point of Approach (CPA) but does not give an indication of whether you will pass ahead or astern of another vessel. Its down to you to use the information to work this out and make the right decision in accordance with the regulations (COLREGS). This constraint has been addressed in the latest LightHouse II operating system release (R15 or higher) for Raymarine a, e, gS and eS chart plotters and takes AIS one step further in its usefulness. Note: *Military and law enforcement target (Approved STEDS-EAIS-AIS hardware required). 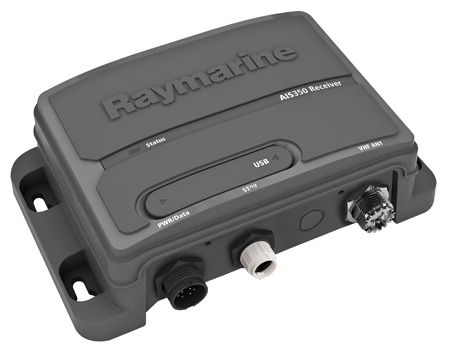 Since September 2015 Raymarine's LightHouse II operating system (R15 or higher) has two new features for AIS. 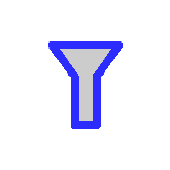 The first is to show different types of vessel with different icons rather than all being the same. 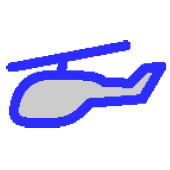 This depends on vessel type being correct on the sending vessel but it can now differentiate between sailing, power, fast ferries, commercial vessels, SAR helicopters and Atons. The second feature which is a major step forward is the addition of “predicted areas of danger”. 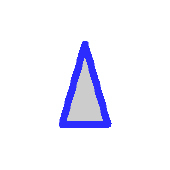 The chart plotter will show a vector indicating direction of your vessel and one for a crossing vessel. It will then create a red boxed shaded area. If your vector passes through this area there is a collision risk. If it passes ahead of the area, then you will pass ahead. 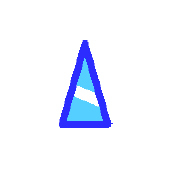 If astern of the area (not necessarily astern of the AIS target) then you will pass astern safely. This gives a great deal of useful information but it is just that, information, and you must be aware of and obey the COLREGS particularly in making your intentions clear by bold and early moves. In working out the size of the predicted area of danger, the system adds its own safety margins but if you are crossing ahead of a large vessel it’s wise to make sure you have a margin that you are comfortable with. The predicted area of danger shown in red ahead of the sailing vessel. This shows that I will pass close astern if I maintain course and speed. The same situation a few minutes later. Helping to unscramble a more complex situation off Calshot. Important to remember that not all vessels will be transmitting AIS so maintaining a proper lookout is still vital. AIS is a major development in safety at sea and provides information to make better decisions. It must be borne in mind though that there are plenty of hazards out there not transmitting AIS and that it is still necessary to have a good understanding of and apply COLREGS. The new predicted area of danger feature in LightHouse II operating system is a great step forward in presenting AIS information visually but still no substitute for good sense and seamanship.